One of New Zealands most spectacular trees. 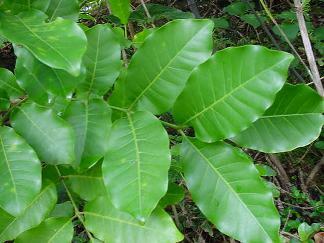 The large leaves with their glossy green appearance give a tropical look to any ornamental garden. Kohekohe is quick growing and will produce a round headed tree up to 8 metres high. It prefers a deep moist soil with plenty of humus and a reasonably sheltered position. It produces an attractive timber and is sometimes called N.Z. Mahogany. It is highly palatable to the Opossum. 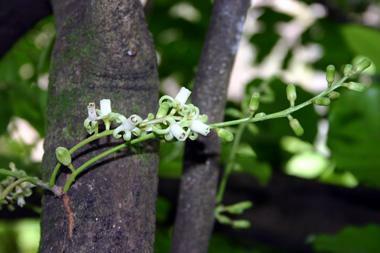 The flowers and fruit are found on panicles growing directly from the stem, rather than from branch lateral or terminal buds. This is called cauliflory and is thought to be evidence of the trees tropical origin as cauliflory is a common habit in tropical forest trees. Pollination and seed dispersal in these tropical trees is by bat or bird that fly beneath the forest canopy and most likely this would be the case with the NZ plants that show this character. The tree is a wonderful site when in flower. 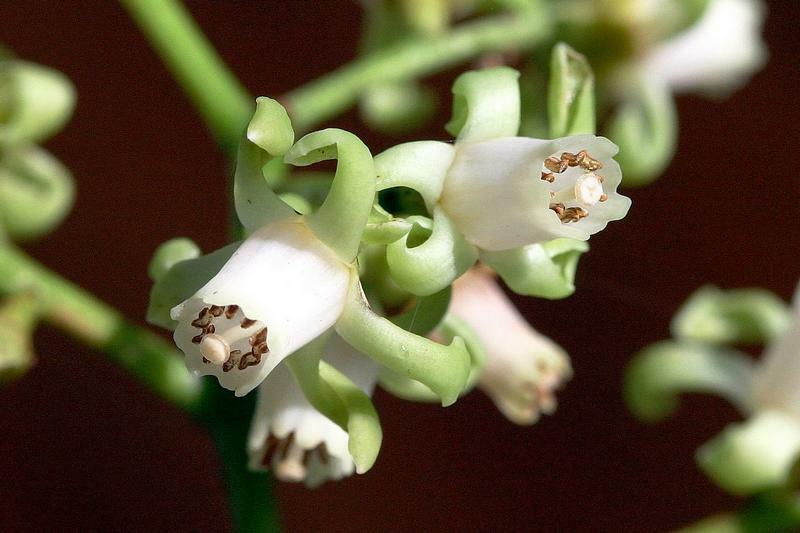 The fruit-capsules are obovoid in shape, about 2-3 cm long, with 3 or 4 seeds per capsule. The seeds are embedded in an orange or brown gelatinous mass. This jelly like matrix is thought to prevent the seed drying out as it germinates. The seed is glossy black 1.5cm. The tree flowers and seeds in alternate years. One year the plant will produce flowers that will develope into seed the next year. That year the tree will not produce flowers. Seeding and flowering are energy intensive processes. The plant can afford to do only one at a time. To do both in one season may mean neither get done properly. Kohekohe has a high level of seed viability and there is no dormant stage in the seed, another tropical feature. The seed can be collected from beneath the tree in the rotting orange pulp of the capsule in mid winter, just after seed maturity. The seeds grow well if slightly buried on a leaf litter of decomposing mahoe leaves. Once germinated the plant is quick to grow and may be 50 cm tall 2 months from germination. Pot on into a PB10 to encourage rap-root growth.